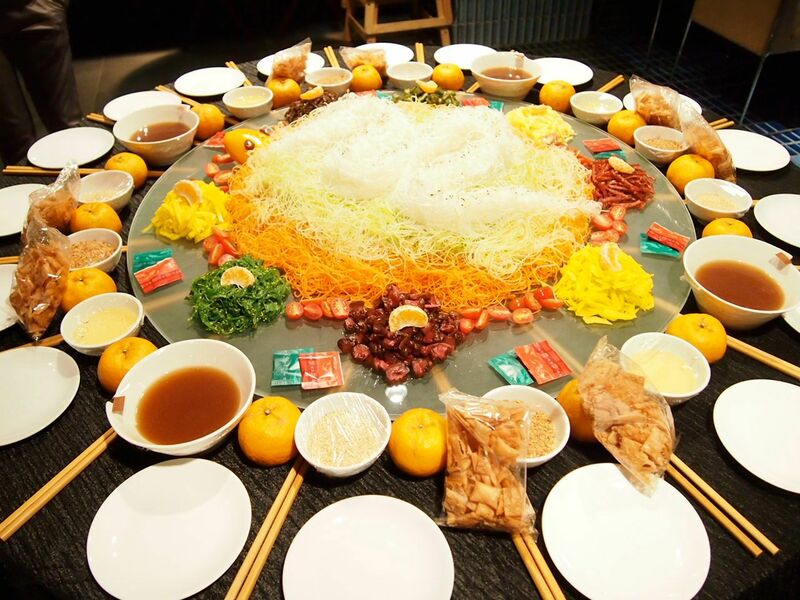 Chinese New Year is right round the corner and I'm sure everyone has been on the search for a restaurant for reunion dinners or CNY gatherings. 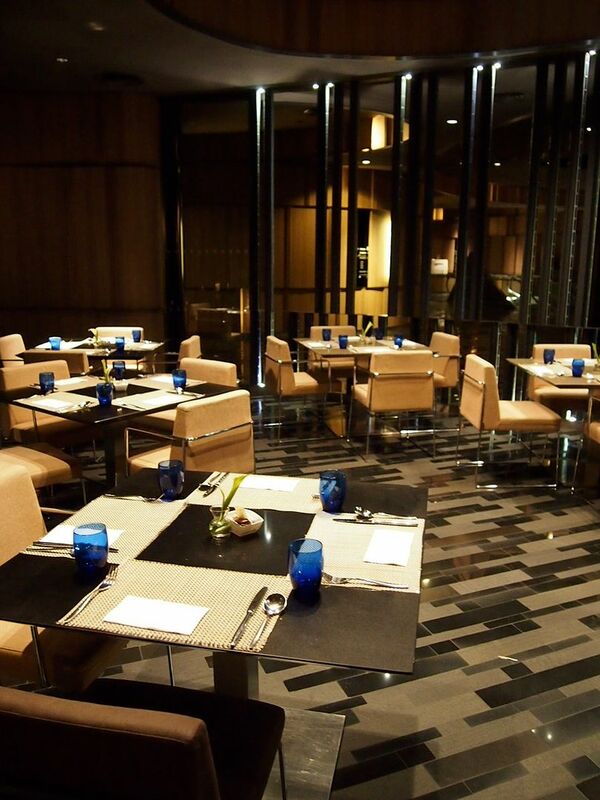 Located in the renowned Crowne Plaza Hotel, Azur might just be the perfect dining destination for you! 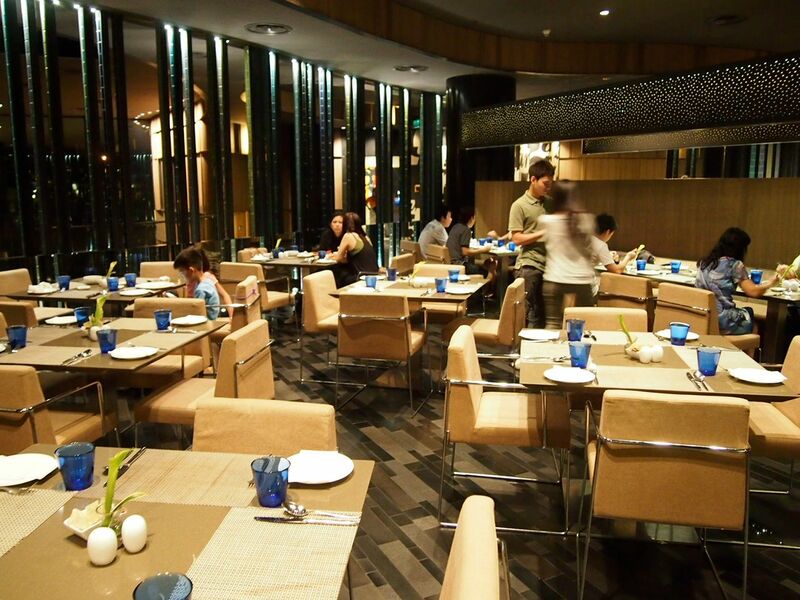 The restaurant is huge and they have round and square tables that can be arranged to fit a great number of people! Perfect for large families! 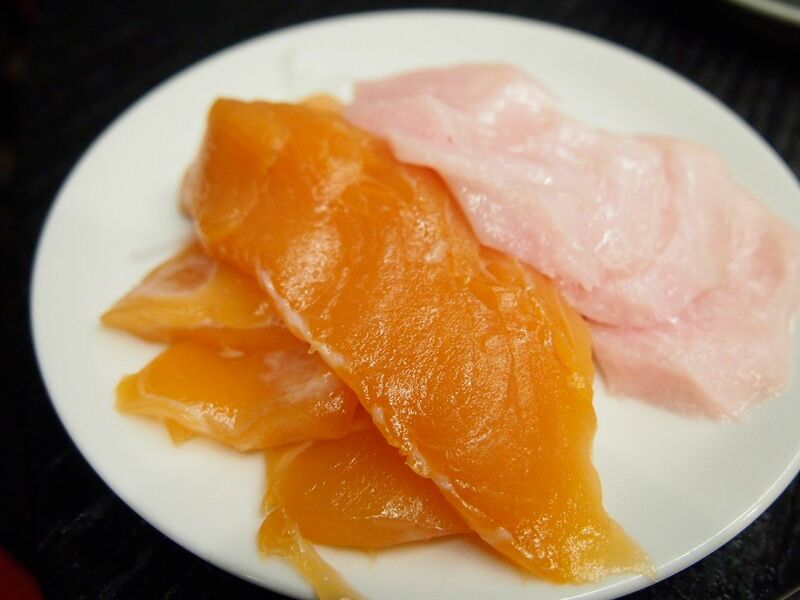 Huge pieces of salmon and swordfish sashimi! 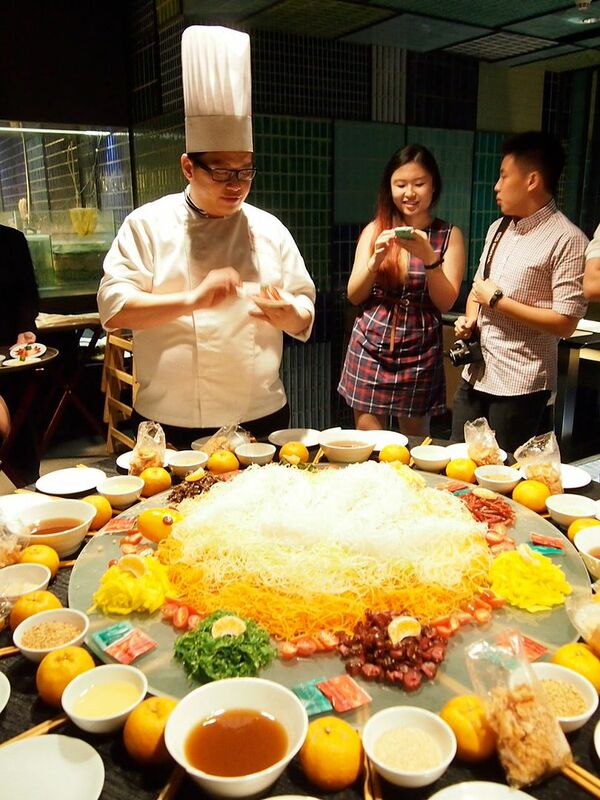 Chef Alvin introducing the ingredients in the Three Treasures Yusheng! 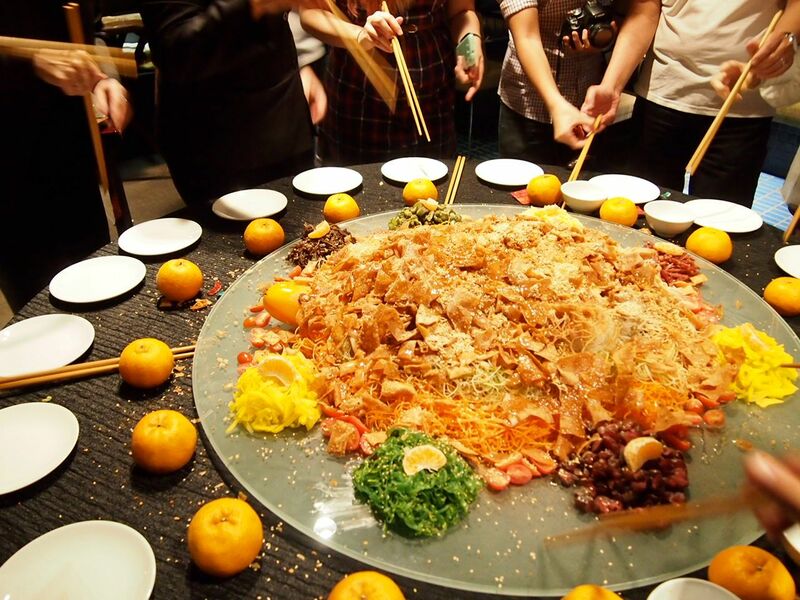 Asian-fusion Yusheng topped with Hokkigai Surf Clams, crispy wanton skin, ginseng and yuzu dressing and accompanied with Japanese pickled radish, picked cucumber, golden radishes, carrots, Wakame seaweed, tamago, Chinese pickled mango, pickled papaya, black fungus and bak kwa strips. 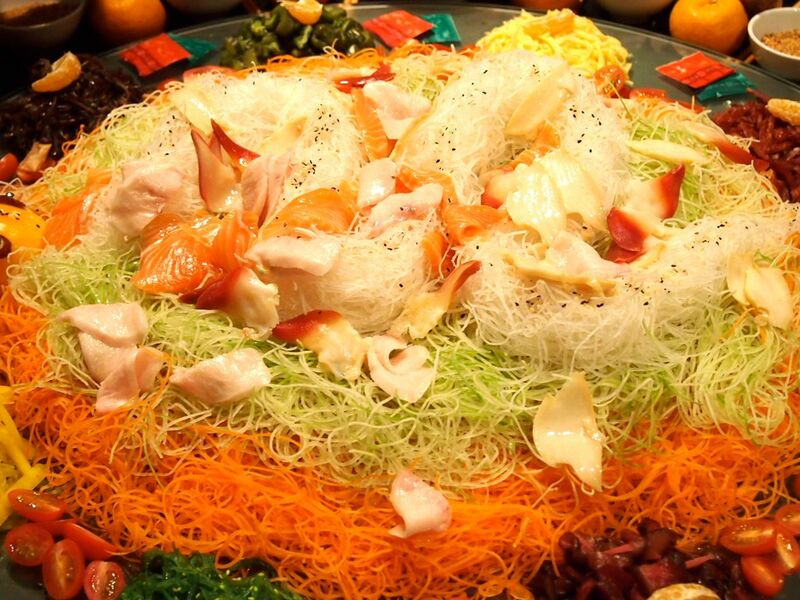 For those who will like more "yu" in their yusheng, Azur is offering Meikajiki Toro (Swordfish Belly) at $28.00+ and Fresh Norwegian Salmon at $18.00+! And if you can't get enough of the Hokkigai Surf Clams, fret not! 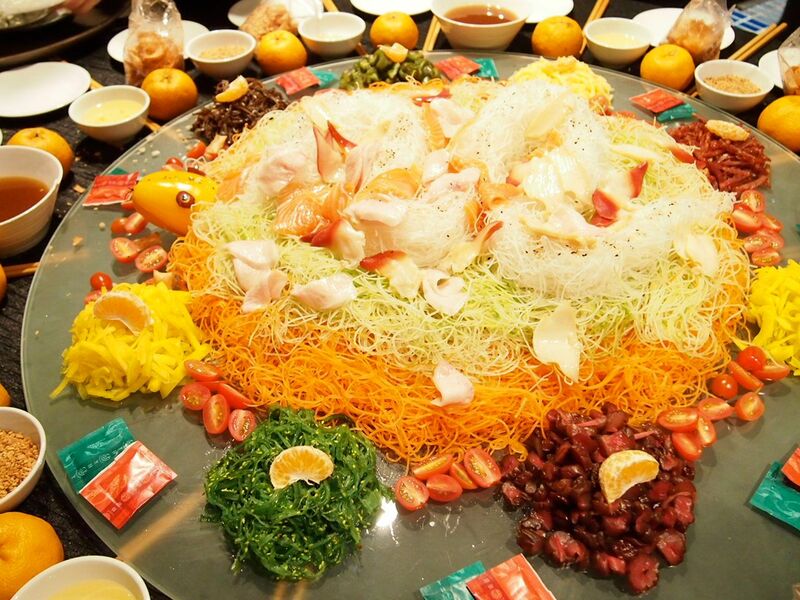 They can be added to the yusheng at $38.00+! 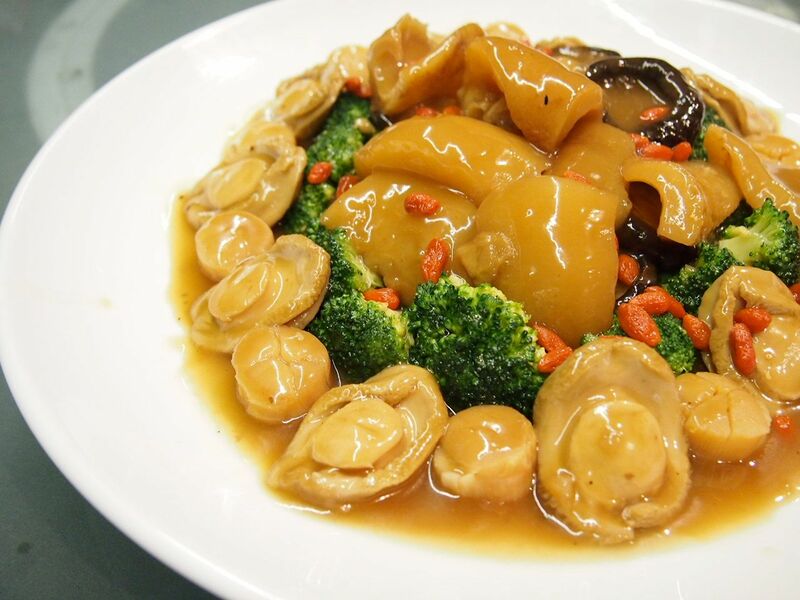 Other toppings that are available will be Sliced Abalone at $48.00+ and the delicious Yuzu Ginseng Dressing at $8.00! Looks good doesn't it! But wait, it gets better! Tadah! 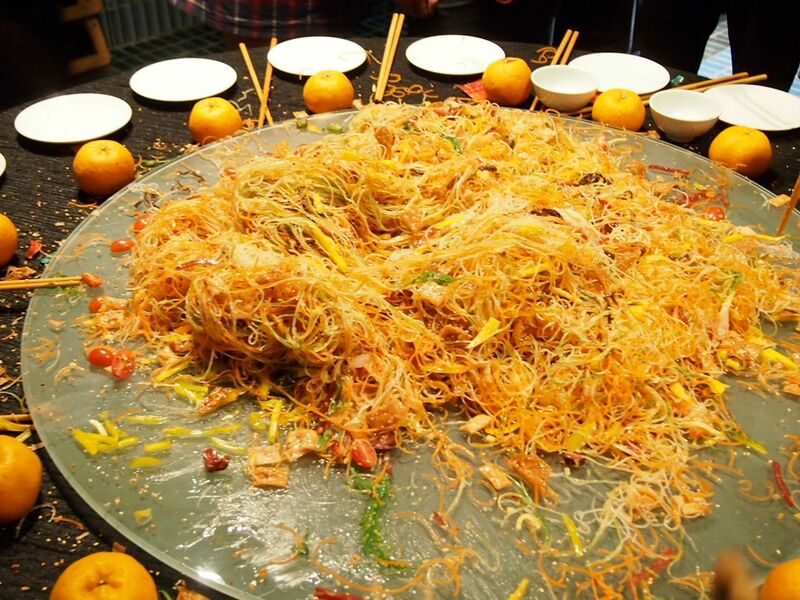 Sprinkled with crispy wanton skin! All ready to toss to the Year of the Snake! But this time round, the Hokkigai Surf Clams won my heart! The ginseng and yuzu dressing is really delicious. 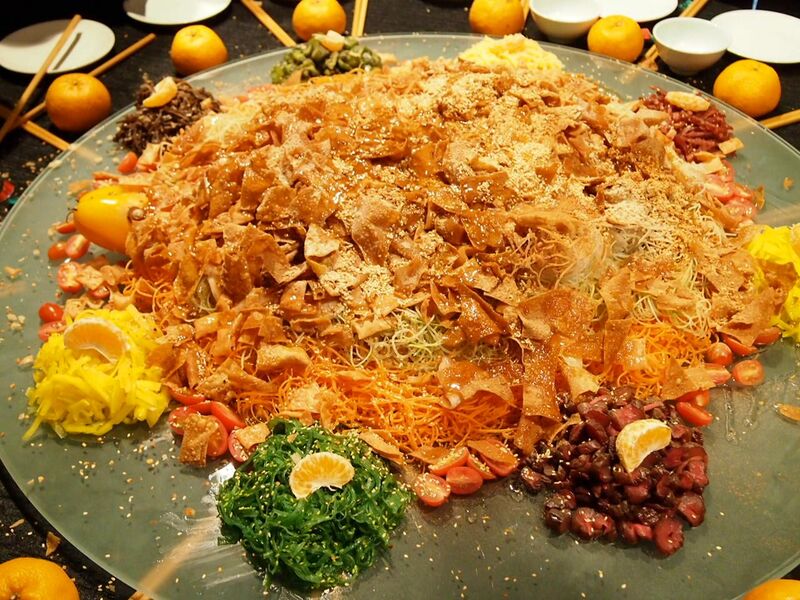 I don't take vegetables but I didn't mind eating the vegetables in the yusheng because they were so tasty and sweet! Who knew ginseng and yuzu were such a killer combination! 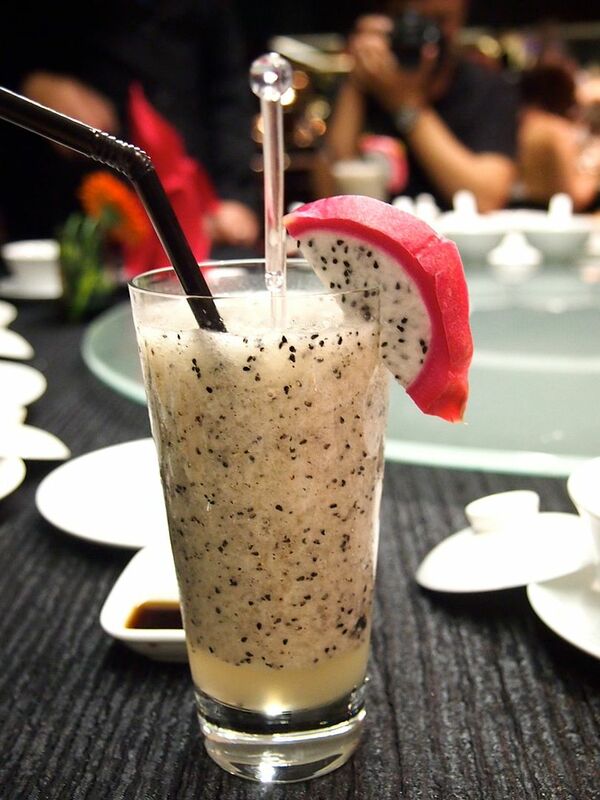 A very unique and refreshing concoction of several flavours and textures. It's brilliant, how they could come up with this! 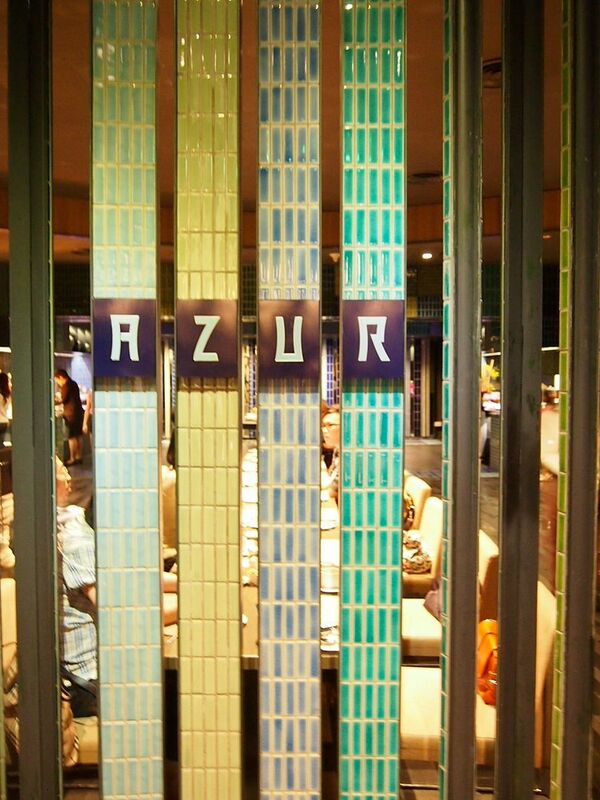 On top of their already impressive buffet spread, Azur is featuring special dishes that are only available for the Chinese New Year Buffet! Here are some of them! 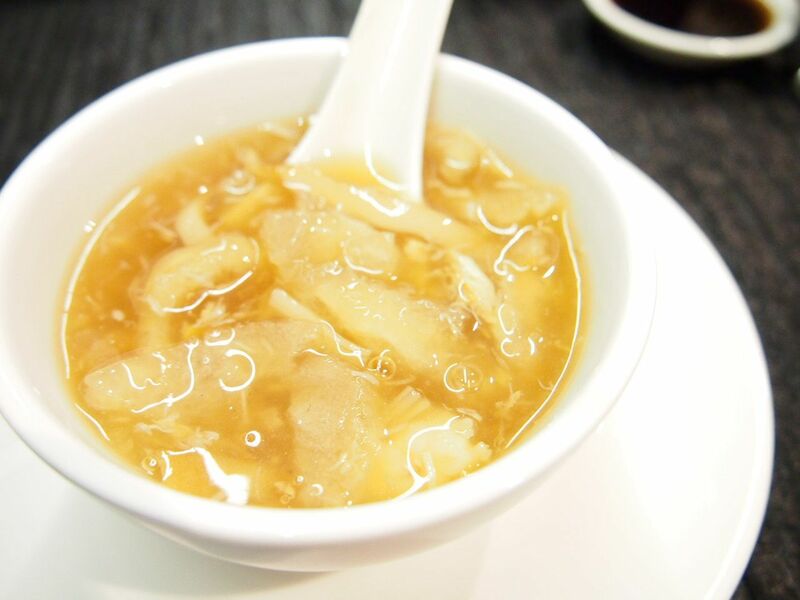 It tasted very much like shark fin soup except that there is no shark fin! 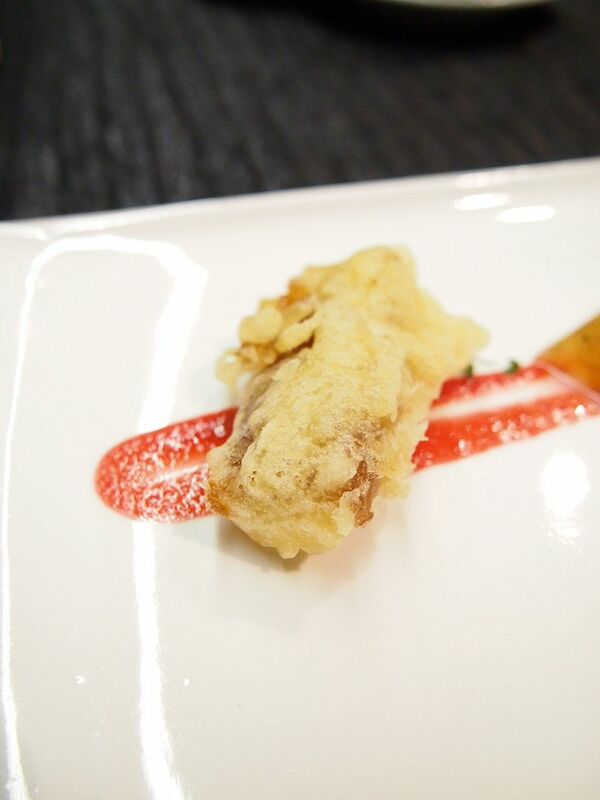 A really great appetite whetting dish! This is a rendition of their butter prawns. 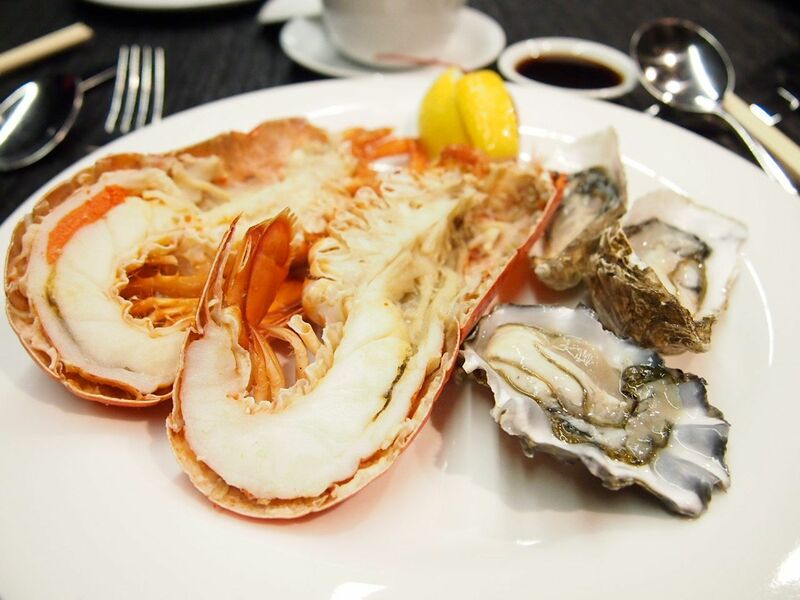 It may seem unimaginable to some, how prawns and berries could go hand in hand. Well, we were a little surprised when we heard the combination too. And even more surprised by how good it tasted! The prawns were extremely fresh and juicy and were bathed in a tantalizing sweet sauce that does not carry an overpowering berry taste. 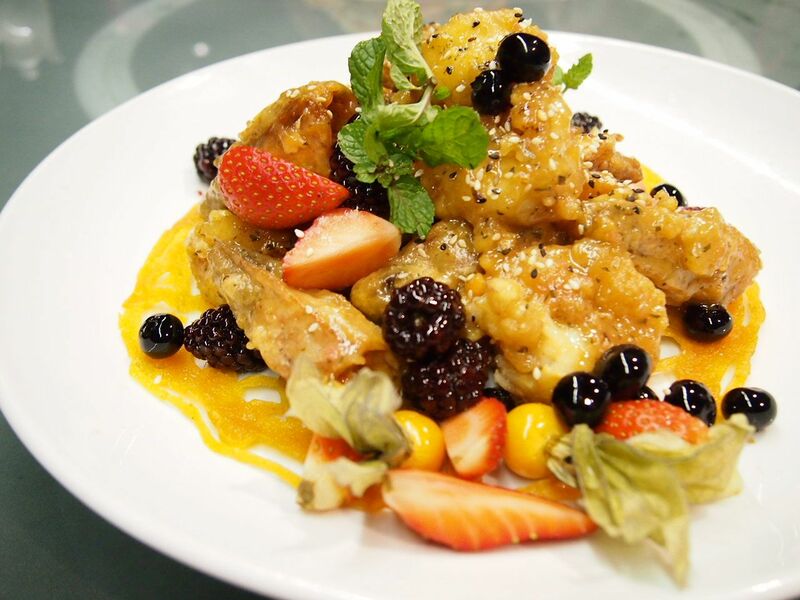 This delectable dish will definitely sweep you off your feet! 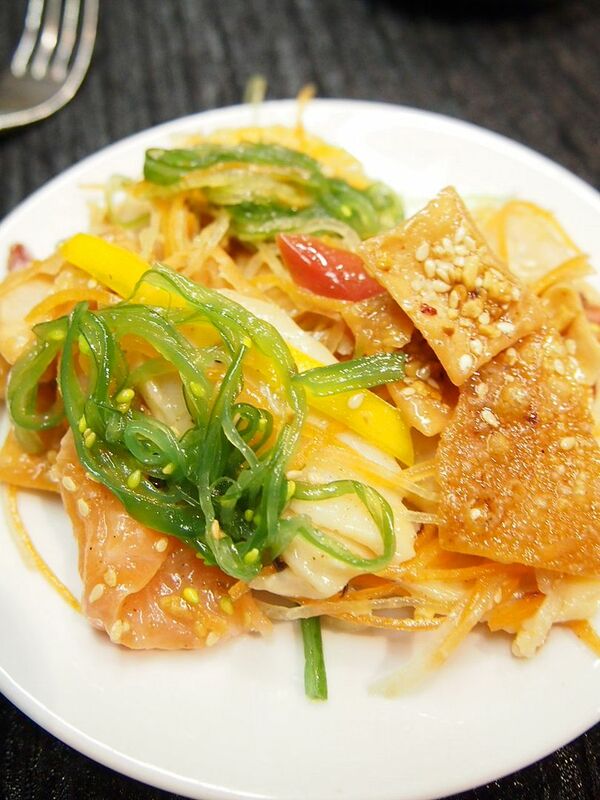 Our favourite dish for sure! Wonderfully soft and moist, the flavour and taste of the salmon is brought out delicately in every bite. This was my second favourite dish! 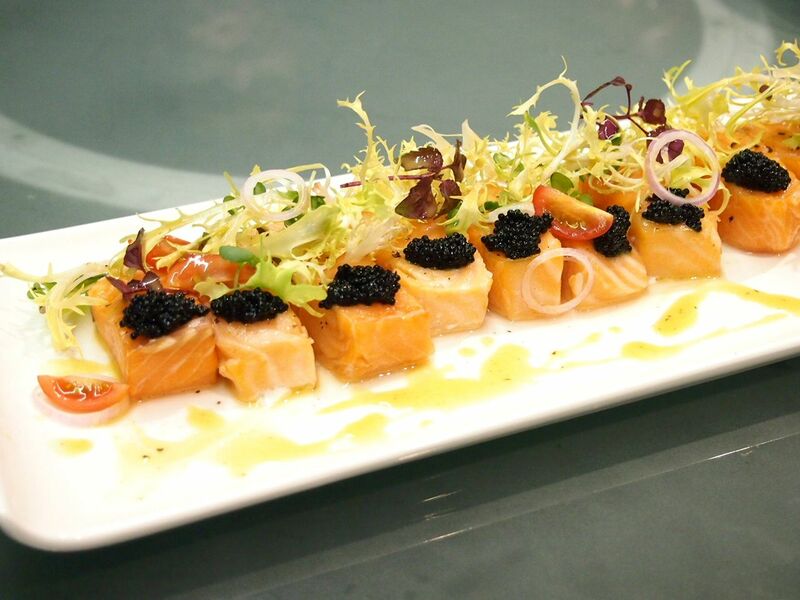 The Darjeeling Beurre Blanc and caviar harmonized perfectly with the nicely-sized salmon and I'm very sure that this is gonna be really popular! 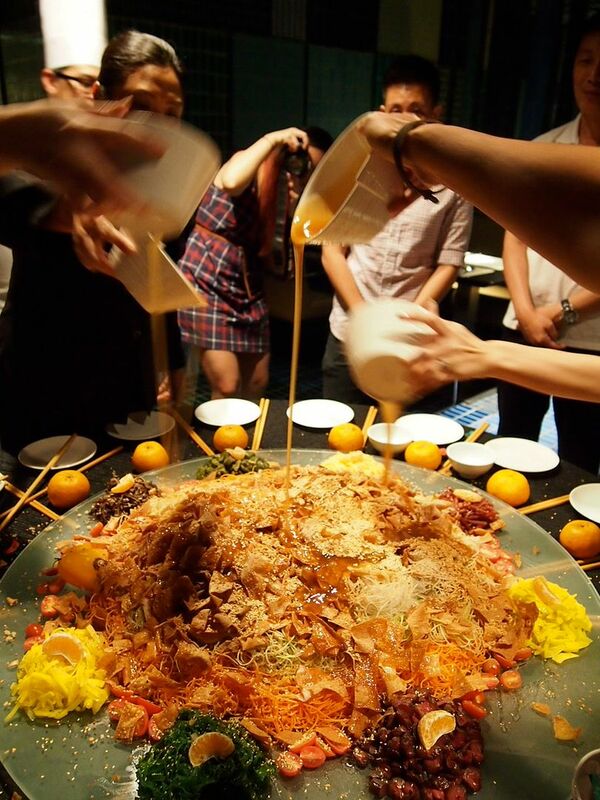 For someone who doesn't fancy glutinous rice to really like this, can you imagine how good it was? 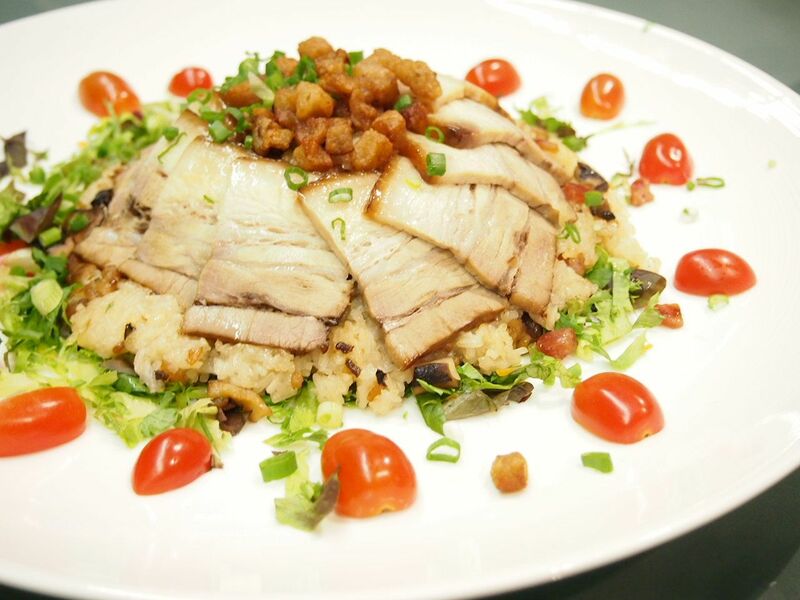 Crazy tender pork belly which when paired with the soft and fragrant rice, delivered a surprising hint of sweetness that will leave you craving for a second portion! The tart-like base was buttery and fragrant. 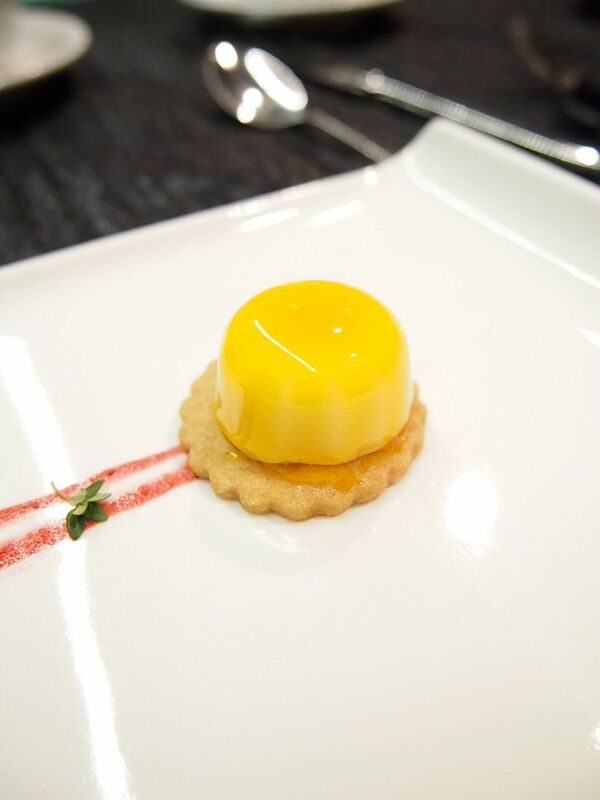 A strong burst of mandarin orange exploded in my mouth as the mousse melted delicately. 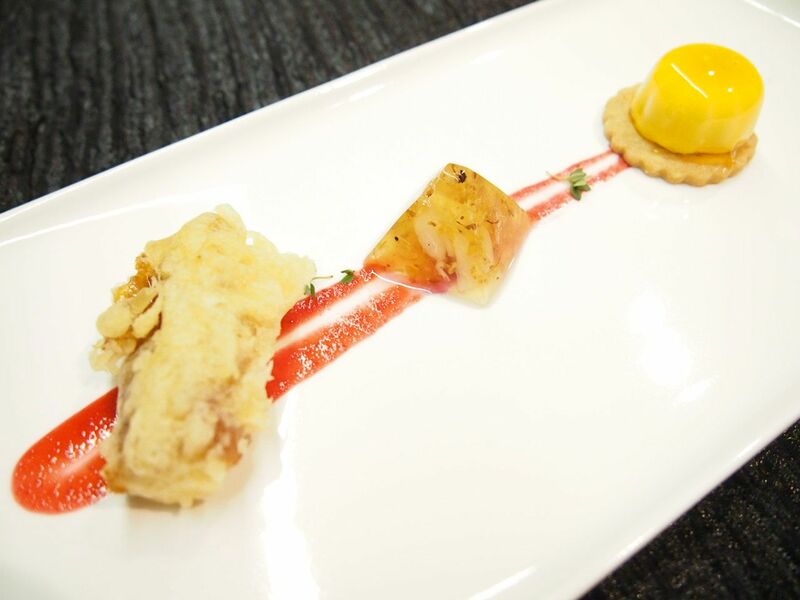 Powerful punches of flavours packed in a small delight! 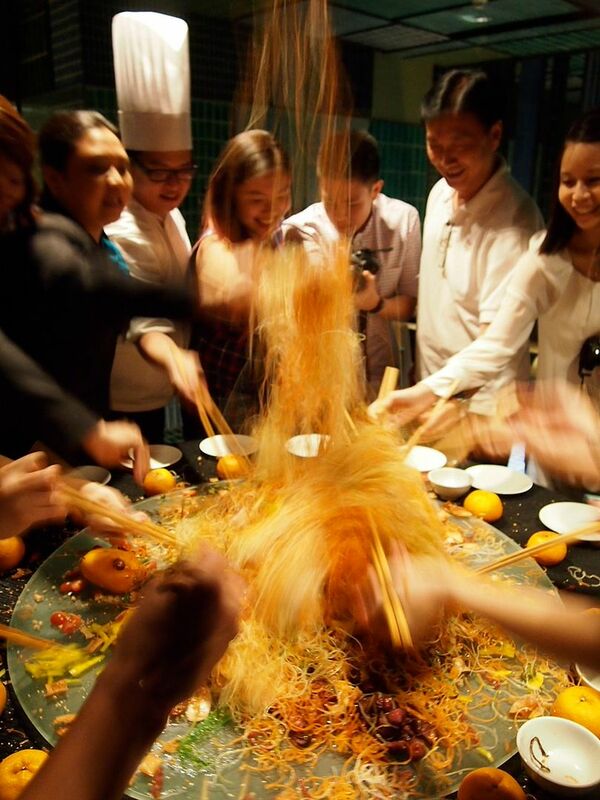 The Chinese New Year buffet will be available from 9th-24th February. 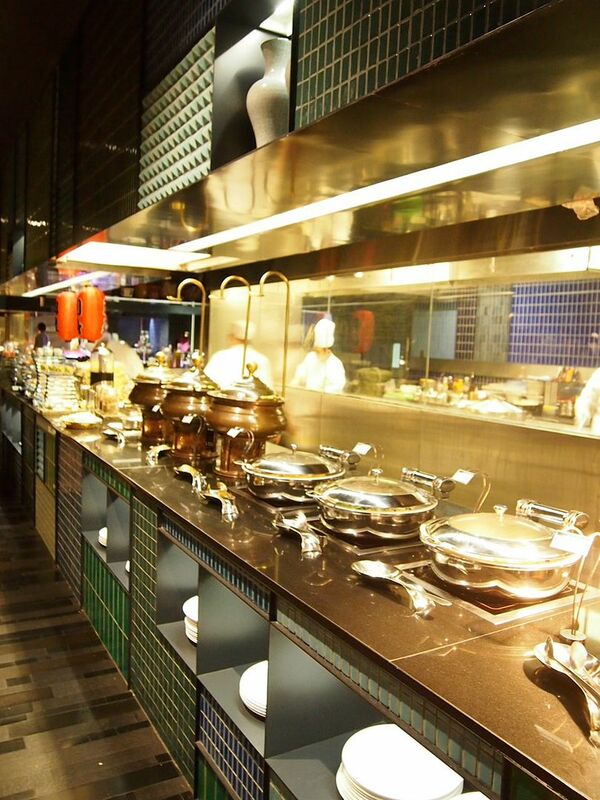 With other signature dishes such as the drunken prawns and a free flow of yusheng, this buffet is definitely a bargain at these prices! 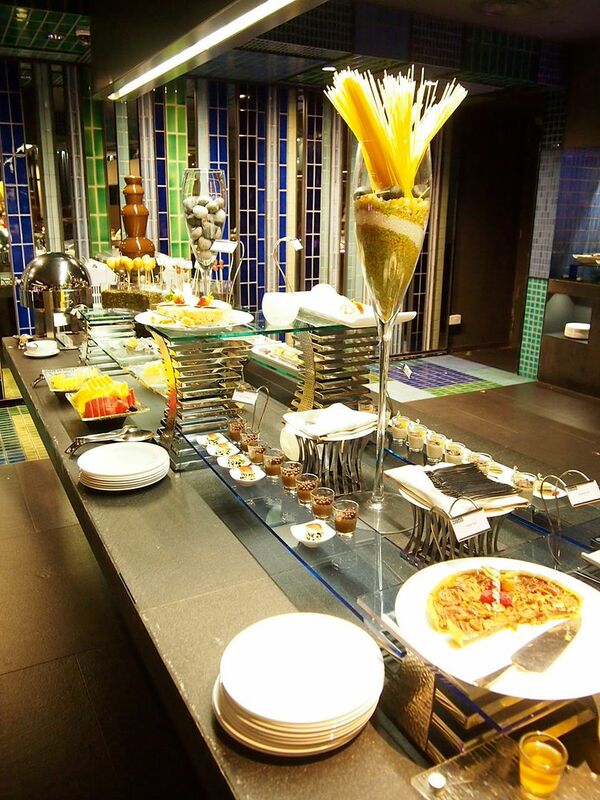 Wow the food look so yummy :) Looking forward to meet both of you soon.